With new research in hand, Fanis Grammenos revisits his analysis of the efficiency of the Simple Grid, and asks what, in fact, should be the preferred layout for a new neighbourhood. What is the preferred layout for a new neighbourhood? It's a question we have discussed previously in the pages of Planetizen, and one we'd like to return to again, with some interesting new research to consider. In an earlier article we discussed the flaws with Portland's grid, most prominent of which was its inefficiency of land use. We looked at Portland's 200' by 200' block in the context of other layout options and, when we compared it on a number of criteria, it did not fare well. New data provided by Daniel Nairnon other American city grids has emerged since, and is analysed here, shedding more light on this assessment and also providing an opportunity for refined versions. We argued earlier that if the merits of the specific Portland grid plan were self-evident to planners or developers, its use would have been expanded in the city beyond the original plating of 1846 and imitated by other cities, neither of which has been the case. For this analysis, we used twenty city grids that range from a mere 150 by 150 feet, just over one half acre, to the ten acres of the largest American grid of Salt Lake City (660 by 660 feet). These gridiron layouts also span a range of street right-of-ways (ROW) from 30 feet to 120 feet. The present analysis focuses exclusively on comparing land use efficiency among the twenty grids. It consequently raises the inevitable question as to which would be a suitable candidate for a contemporary "town", "Planned Unit" or a suburban subdivision, if any at all. To analyze the data, we did two types of calculations: a) we measured the land use efficiency of each one in the set by calculating the ratio of buildable (or saleable) land to the total land that includes the right-of-ways (ROW) for streets, as platted and b) we did the same calculation by adopting a constant ROW for all in order to see the effect of the grid frequency (street frequency or street density). 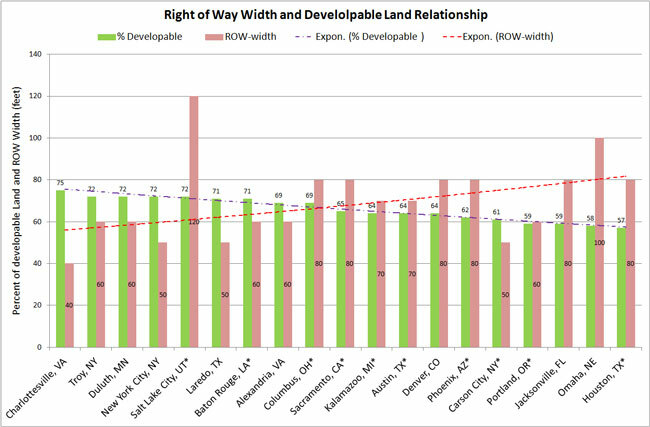 Figure 1: Chart showing the influence of the right-of-way width on developable land. 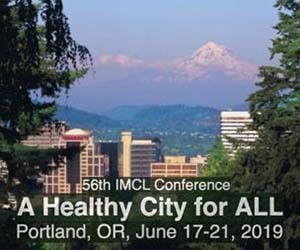 Chart one finds Portland as the third least efficient of 20 urban grids with a buildable land use ratio of 59% and an implied 41% of land dedicated to ROWs. This finding confirms the earlier assessment. The trend lines in the chart reveal the inverse relationship of ROW width to the efficiency of land use, as might be expected. What is perhaps more instructive however, is the amount of difference between a low performing grid (e.g. Houston) and a high one (e.g. Charlottesville). From the 57% of the former to the 75% of the latter there is an approximate 30% jump in land use efficiency. Such differences would impress any urban planner and would be of primary importance for a developer. Each for a different reason is keen on optimizing the yield of land put to urban use: sustainability for the former and economic viability for the latter. Interestingly, the Houston city block is 1.3 times larger than Charlottesville's, yet less efficient; a counterintuitive fact that lead us to look at the influence of block size. Figure 2: A chart showing the correlation of grid block size and land use efficiency. 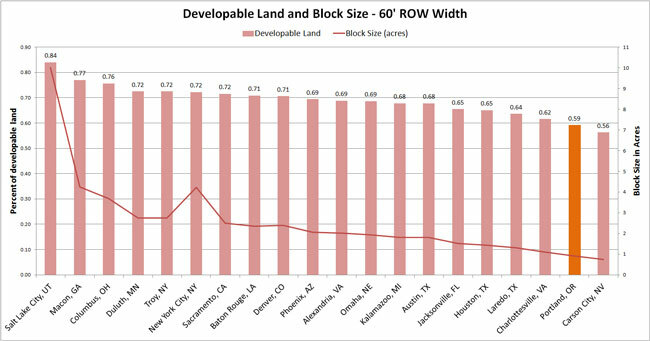 Chart two demonstrates the impact of block size after removing the variability among ROWs and adopting a uniform 60' width for all cities. Portland now appears as the second least efficient grid in the set, confirming again our earlier assessments. The difference in efficiency between it (59%) and Denver's (71%) is about 20%, not an insignificant gain in saleable land and reduction in infrastructure costs. (The exceptional efficiency of Salt Lake City will be explained later.) Instructively, Charlottesville migrated from the most efficient in chart one to the third least efficient (below Houston) in chart two, due to the adjustment of its ROW. This chart reveals a strong correlation between block size and land use efficiency; the smaller the block the lower the efficiency of the grid. Looking at both charts simultaneously, the correlations among all three variables become clearer. Based on this analysis, we can now consider an optimal, simple, open grid; or perhaps not. If replication is any indication of merit, the historical record of towns that abandoned the original square mile gridded plan as they grow in size does not bode well for the simple grid. If Planning theory is your guide, the record is equally bleak. 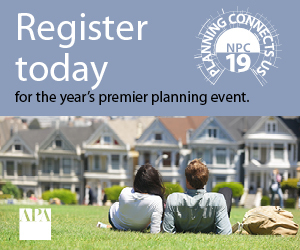 Among key planning figures, either through theoretical works or by virtue of built projects, the premise of gridded or rectilinear planning has been repeatedly denigrated and abandoned. Olmstead in the 1800s abandoned orthogonal planning and introduced curvilinear streets that were to become the model for innumerable subdivisions. Camillo Sitte portrays the grid as unimaginative and unworthy of consideration for new towns. Raymond Unwin in his writings and works rejects the simple, open grid, succeeds in ushering the cul-de-sac through the British parliament and lays out plans free of the rigidity and repetitiveness of the simple grid. Serge Salat tells us that "Unwin joins Sitte in recommending a great variety of street widths, which would enhance the specific character of each street. In the design of districts, the interior streets should not be too wide. Wide streets planted with trees should be reserved to the outer boulevards where they offer the threefold advantage of serving as promenades, ensuring traffic between districts and delimiting the districts". 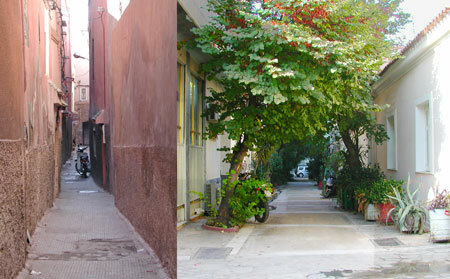 In other words uniformity of street width diminishes character and inhibits delineation. In the same vein, Lewis Mumford writes a scathing critique of its use in town planning adding that "..The new gridiron plans were spectacular in their inefficiency and waste". Clarence Stein creates a model that follows in the footsteps of Unwin dismissing the grid as entirely unsuitable for our times. Recent pioneering projects such as Village Homes, Davis ,CA; Seaside, FL; Kentlands, Gaithersburg, Maryland; and Laguna West, Sacramento, CA use layouts that abandon the simple gridiron pattern. Figure 3. A sampling of 3 simple grids and their corresponding percentage of land used for ROWs. The same author infers that the intent that drove the creation of the simple grid may not have been entirely benevolent: "It is only when an absolute power absolutely controls the ownership and use of the ground that the city can conform to a perfectly geometric form, as was the case in the ancient Chinese capitals or the cities of colonial occupation in North and South America"
In the last 20 years, researchers confirmed the heightened risk of accidents that grid layouts engender and the negative role its unfiltered permeability plays in maintaining security and sociability in a neighbourhood (as Appleyard and Hillier have shown). Also, from a sustainability perspective, the grid plan has been found deficient because of its potential high ratio of paved surfaces; its land waste; its disruption of natural land features and its low operating traffic speeds. In spite of this evidence against the simple grid and the complete absence of new applications of it, we may still wonder if a simple grid can be chosen on the basis of two known grounds: its legibility and the speed at which it can be surveyed. All simple grids in the set share these attributes irrespective of their size. Knowing the relative impact of the variables we examined, the choice among grids becomes easier but, heeding the criticisms, also irrelevant. However, an opportunity opens up to manipulate them by selecting desirable elements from each; no need to copy uncritically. 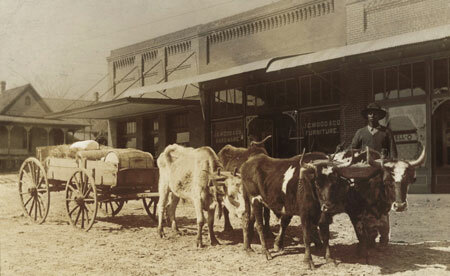 For example, the highly unusual, 120-foot ROW of Salt Lake City's streets (based on the long-outdated need for a team of four oxen pulling a cart to turn around within the street) would be unjustifiably wasteful and unpleasant if used for residential streets, where traffic is low and buildings small. Similarly, its 660 by 660 (10 acre) block size (based on homesteading family units, mostly extinct now) cannot be subdivided efficiently for current two-income-earner family houses. These historic changes in socio-economic structures are in fact reflected on the ground; many of Salt Lake City's original blocks have been divided in half by a mid-block road. Consequently, its exceptional theoretical efficiency on the chart evaporates in practice and renders the block as found unusable. 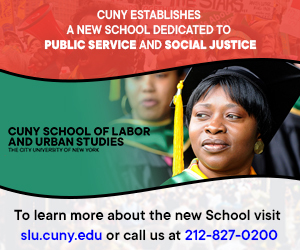 Clearly, choices should be made with an eye to current socio-cultural conditions. Modifying the ROW width can definitely lead to substantial efficiencies, as we saw. Charlottesville shows the way with the narrowest streets in the set (30' and 40') and highest land use efficiency (chart 1). But we need not copy Charlottesville. We know many Greek, Roman, medieval and Arab streets to be much narrower, starting at 6 feet and averaging around 15 feet wide. All these streets functioned adequately for pedestrian movement and still do in surviving city centres that date back to original layouts. But, as with the block sizes, changes in transportation modes and building type and size would make direct copying ineffective. Figure 5: A 6-foot (left) and 12-foot wide streets (right), millennia old, worked well for the foot-and-hoof traffic of their time. It is plausible that earlier street dimensions might be adapted to contemporary conditions: Salt Lake City's 120 width, for example, could function as a divided boulevard with six lanes of traffic and a 30-foot linear park for pedestrian movement on either side while a 15'-wide pedestrian only street connects wider residential streets that are designed for car access. In this vein, efficiency can be matched with purpose. Breaking the convenient, but outdated, uniformity of the 18th and 19th Century American grids would be a first step in recovering the land efficiency mandated by current ecological and economic imperatives. 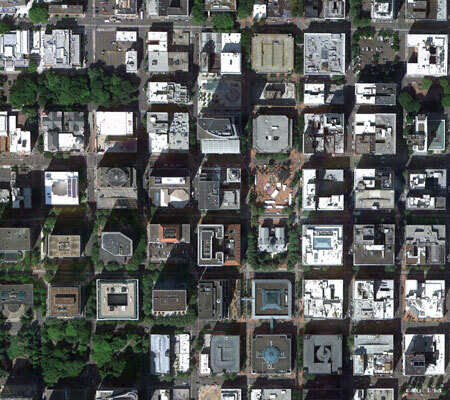 Pointing in that direction, Savannah's composite, cellular grid includes variable size streets and blocks for private, civic and religious functions. A second step would be to include block sizes that can accommodate building types and sizes unknown in the 1800s, again defying block uniformity. 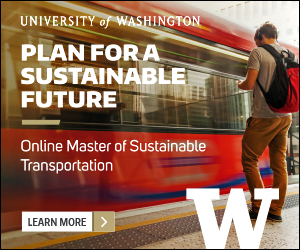 A third step would be to adapt its streets for the now universal motorized mobility, of cars, buses, trucks, trams and motorcycles, that is radically different from when oxen, equine and legs shared the transport of goods and people. In summary, examining the simple grids in this set serves as an introduction to optimizing land use, people circulation and the movement of goods. 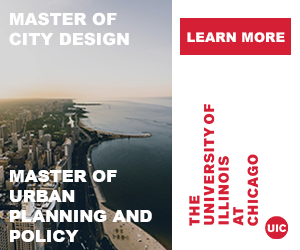 The resulting challenge is to use these insights to develop patterns that accommodate contemporary urban land economics, transportation, environmental priorities and citizen aspirations as these patterns may have done in their time.